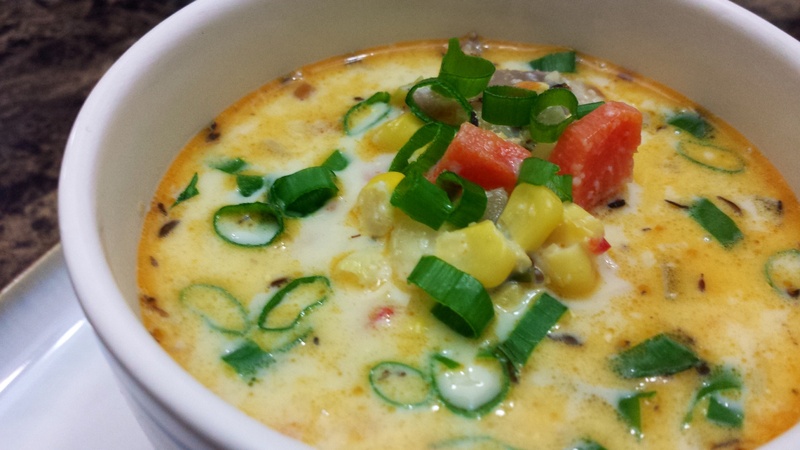 Healthy Vegetable Corn Chowder….Made from FARM FRESH Corn! After looking high n low for a good recipe that wasn’t loaded with butter n cream, I came up with this version. It has all the essential elements of a chowder and the rich comforting flavor, but can be indulged in without a whole lot of guilt! 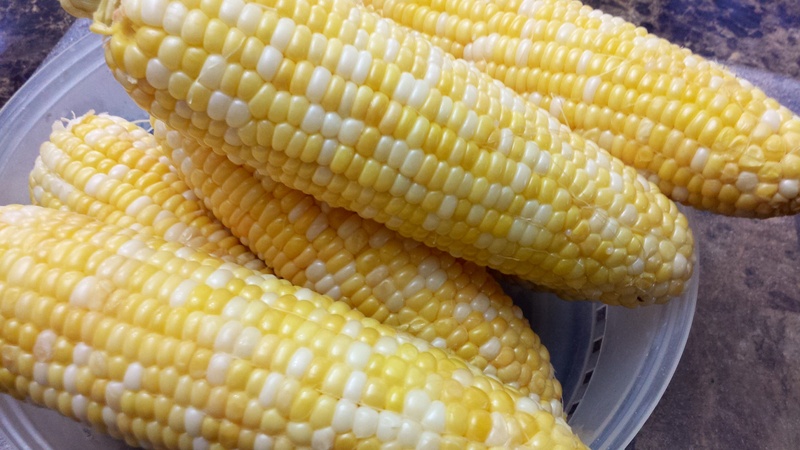 Microwave corn for 4-5 minutes. 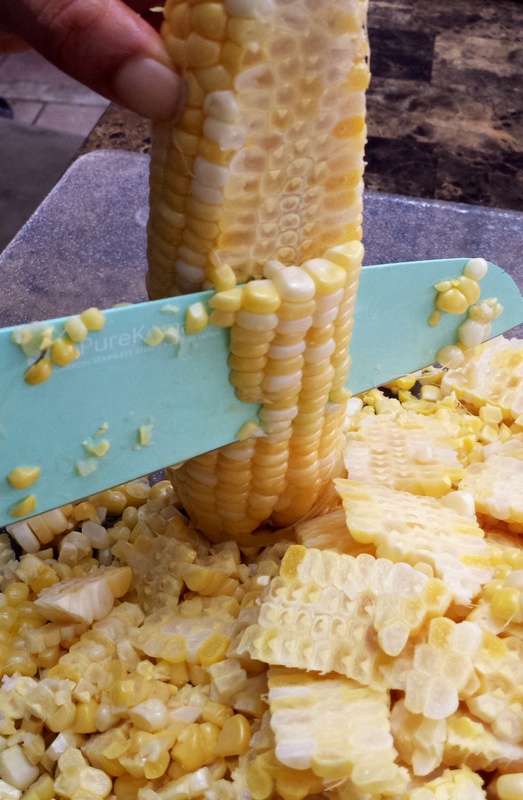 Cool and slice off kernels (you will need about 3 cups) Process 1 1/2 cups of corn kernel with 1 cup milk in a blender. Heat a generous Tbsp of butter, add 2 tsp minced garlic, 1 tsp minced Jalapeño/green chilli & 2 small diced Yukon gold potato and a tsp of dry thyme. Cook till potato turns golden. Add 1 chopped shallot, 1 stick of chopped celery(optional) and 1 chopped carrot. Cook for 3-4 minutes on medium flame. 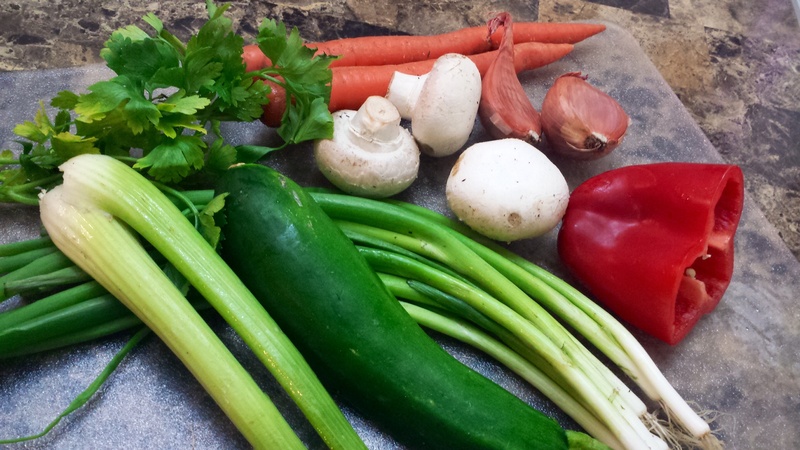 Now add finely chopped zucchini (optional), mushrooms and red/green bell pepper (about 1 cup total). Cook for another 2-3 minutes. Now add 1 heaped tbsp of flour and cook for 1 minute. Then add 1 1/2 cup corn kernel, the corn milk prepared earlier, 2 cups of full fat milk and 3 cups of veg stock/chicken stock/water. Simmer for 10 minutes. Sprinkle with sliced green onion and serve hot with bread sticks/garlic knots! 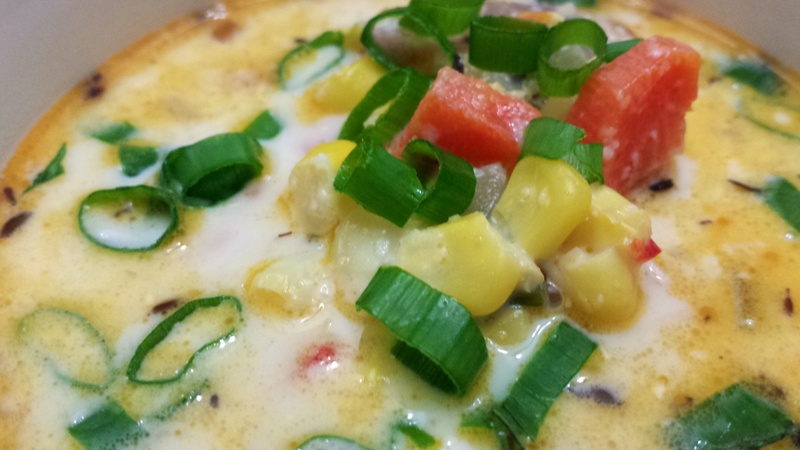 Note: The secret of this soup lies in using premium quality corn! If you do not have full fat milk on hand use 2 tbsp thick cream along with the reduced fat milk. However this recipe will not work well with fat free milk! It’s a variety of potatoes…that are relatively creamy in texture. The soup tasted heavenly. Made twice already. Making again tonight’s get together at my neighbor’s dinner. 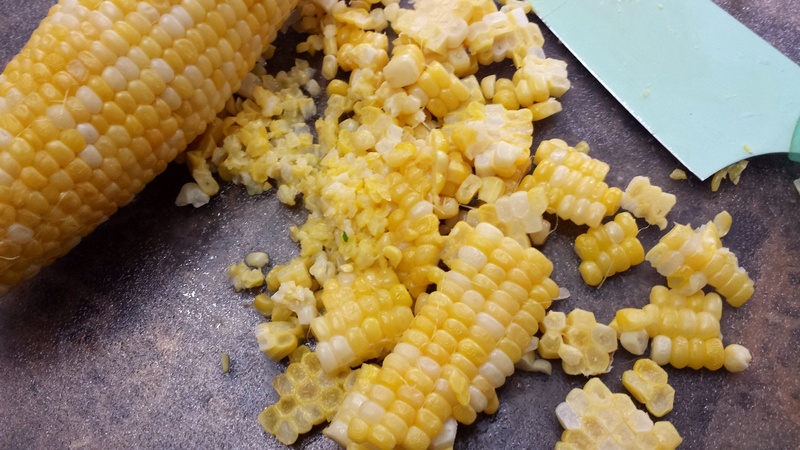 The biggest job is chopping all the fresh vegetables and taking the corn off the cob – but, that’s where the awesome taste comes in! Than you for the delicious and light recipe that tastes rich with flavors..